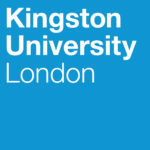 Founded as Kingston Technical Institute in 1899, Kingston University is a public research university known for its career-focused courses, excellent teaching quality and entrepreneurial graduates, located in Kingston upon Thames, South West London. Situated in a historic riverside town between the borders of Surrey and London, Kingston University is bordered by restaurants, shops, pubs and bars. The University has easy access to both countryside and city, close to both Hampton Court Palace and Richmond Park and Central London being a 25-minute train ride away. Shortlisted in the Times Higher Education Awards 2014 for Entrepreneurial University of the Year, Kingston University is proud of its ranking and recognition for the courses and teaching it offers. Various subjects in the university are ranked in the top. Its podium position as the top-rated institution in London for sport science saw the biggest subject ranking improvement for the University, with a climb of 30 places to 15th overall in the United Kingdom. The Faculty of Health, Social Care and Education nursing course has been ranked 10th with health professions – which includes physiotherapy, paramedic science and radiography – came in at 13th place in the UK. Kingston University is globally known as one of the top institutions in the United Kingdom for fashion and design education in the latest Guardian University Guide. Its internationally-acclaimed fashion programme was placed second overall in the fashion and textiles category – making it the highest ranked university in the country specialising specifically in fashion. The latest accolade for the University's BA(Hons) Fashion course comes after it was named number three in the globe by leading website Business of Fashion in 2015. Kingston’s fashion programme was ranked fourth best in the UK by the Guardian University Guide 2016, and third best in the Business of Fashion's Global Fashion School Rankings 2015. It has also been awarded the Creative Skillset Tick, recognising its contribution to the creative industries. Students have the opportunity to work abroad, undertake a paid summer placement around the world and go on a trip to New York Fashion Week. The course is linked to major fashion companies, including Banana Republic, GAP, H&M, Old Navy, Tommy Hilfiger, Urban Outfitters and Inditex (Zara, Pull & Bear, Massimo Dutti). Kingston is considered to be a top ranking journalism college. The programme has a partnership with publishers Haymarket, which could see you working on a real life magazine project. You will develop practical skills, from hard news to interview techniques, while guest speakers have included Simon Hattenstone, acclaimed Guardian feature writer and sports journalist and Luke Lewis, editor of NME.com. The Kingston University ISC provides academic tuition and language support for international students who do not yet reach the requirements for entry to a Kingston Univertsity undergraduate degree. The IFY is delivered by StudyGroup and is taught on campus at the Kingston University ISC. The IFY is a three-term program of academic subjects, study skills and English language training that provides a direct path to degree study. The program offers progression routes onto a variety of degrees at Kingston University. The International Year One (Business and Management) is delivered by StudyGroup and is taught on campus at the Kingston University ISC. The International Year One(Business and Management) is a two-term program (September intake) containing academic support, study skills and English language study to succeed on the BSc (Hons) Business Management with business experience at Kingston University. Once you complete the program and achieve the required progression grades, you will be able to join the third term (May) of the first year of your degree in BSc Business Management with business experience. 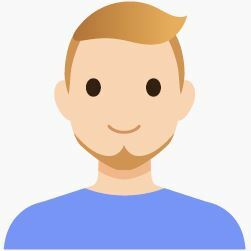 In additional, you can gain the PRINCE2 Project Management Foundation and Practitioner qualifications as part of your course and you will get membership of the Chartered Management Institute (CMI) while on this program. Finally, a 22-day program of pre-business experience sessions will prepare you for your work placement. The PMP is a two-term program of academic subjects, study skills and English language training that is specifically designed to meet the needs of international students. Once you have successfully complete the PMP and achieve the required grades, you can enter your chosen postgraduate degree at the university.